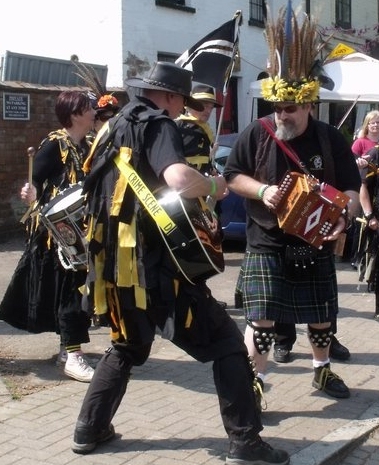 Wreckers Border Morris: Should This Much Fun Be Legal? We are a true border side, as we are on the border between England and Cornwall. 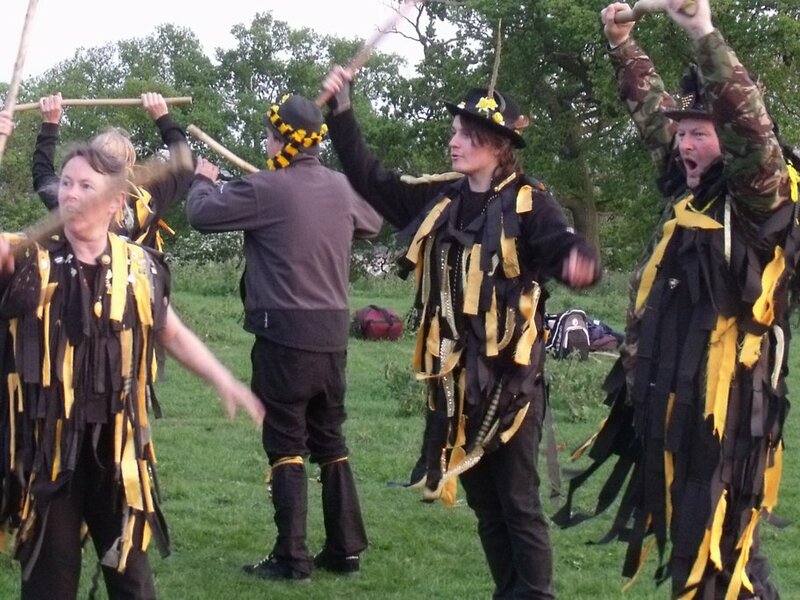 We dance traditional border dances written by various members of the team (past and present). 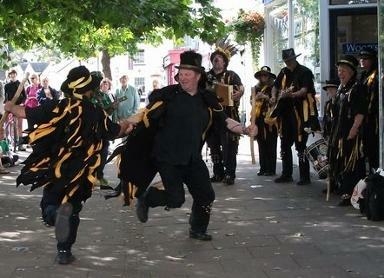 Our Kit is in the black and gold colours, the old Cornish Kings colours. 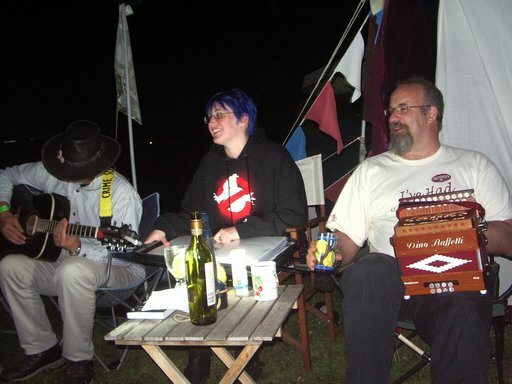 Wreckers was born in October 2000 - in a pub! Where else? 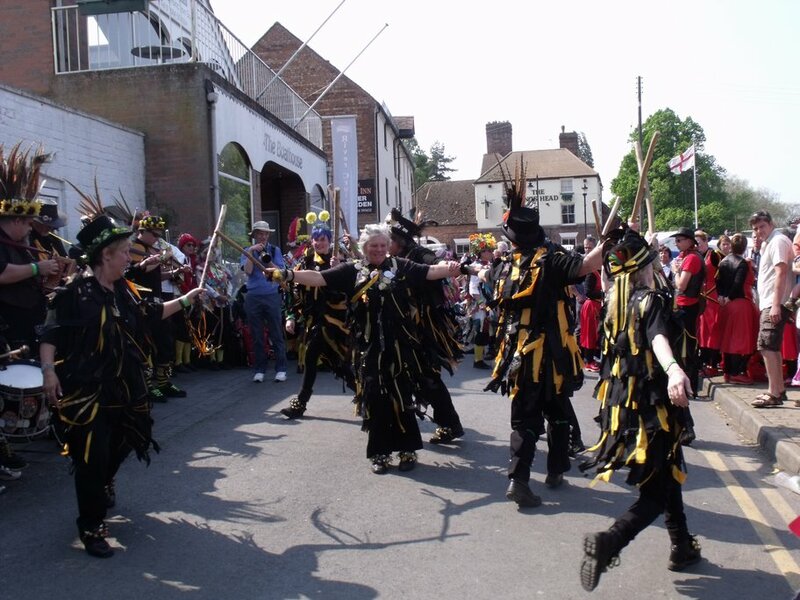 Border Style Morris was chosen for its flexibility, liveleness and noise! This style comes from the Welsh/English Border Counties. (This would seem appropriate to our location on the Cornish/English border!) 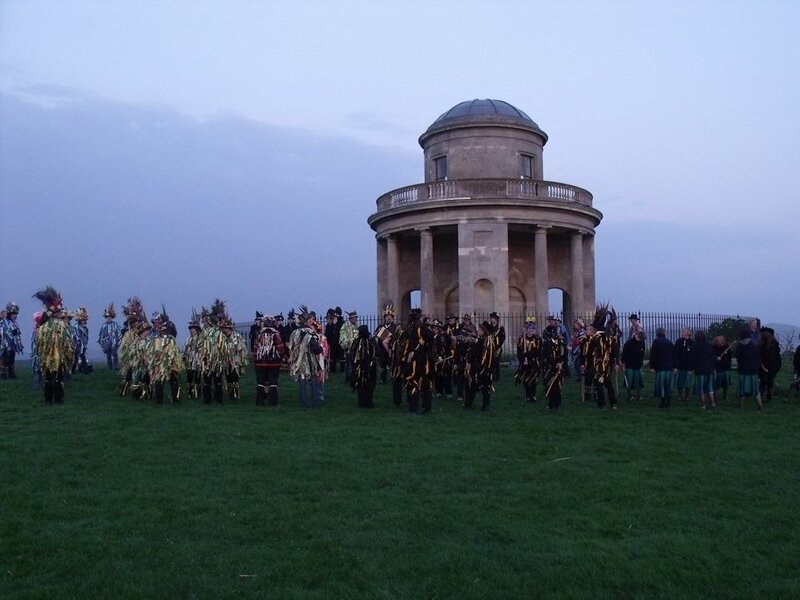 With a great deal of hard work by the founders, supported by Plymouth Morris Men and Maids, Wreckers took off very quickly and had to change meeting halls three times in as many months! 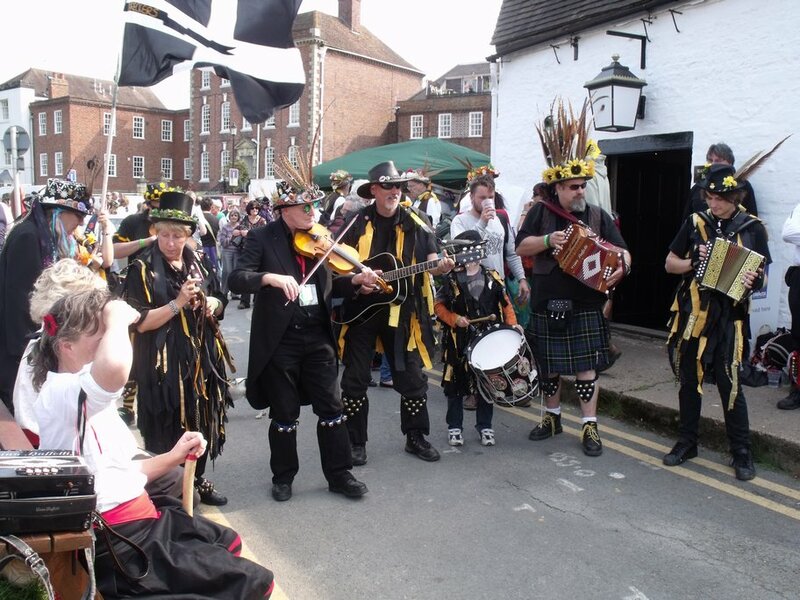 We started our first season by dancing at Black Prince Day, which is based in and around Millbrook, Kingsand and Cawsand. We then went on to have a highly successful season, picking up still more members along the way. 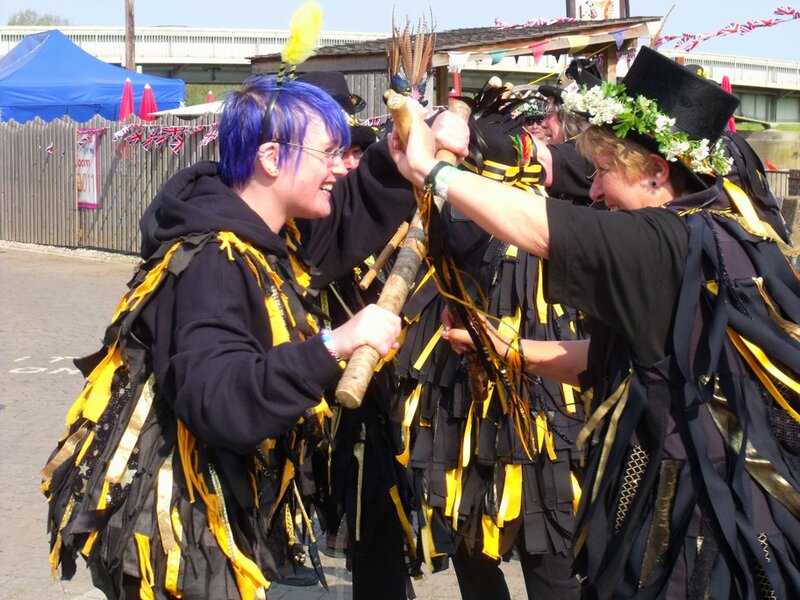 As this trend continues and the side evolves, we are learning new dances and expanding our repertoire, bringing new ideas and styles of dance into the mix. 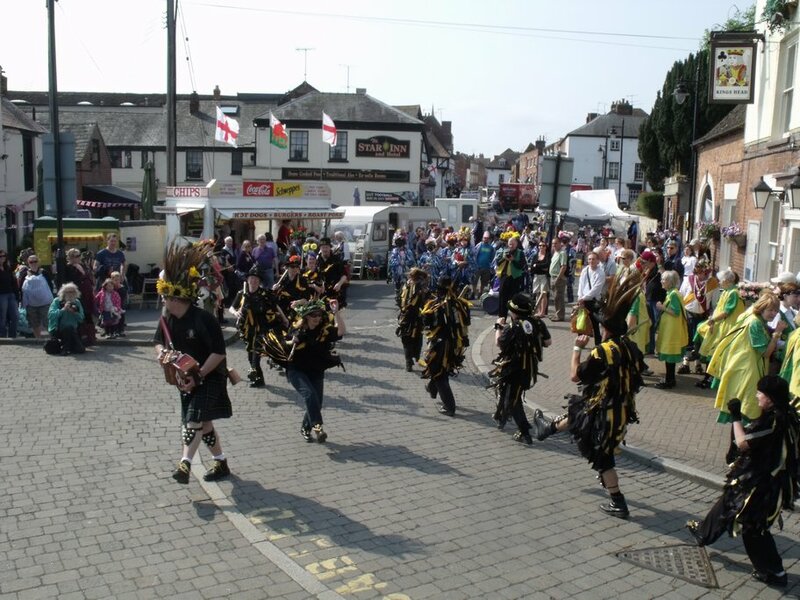 Our lively dance style and air of fun makes us popular wherever we go. 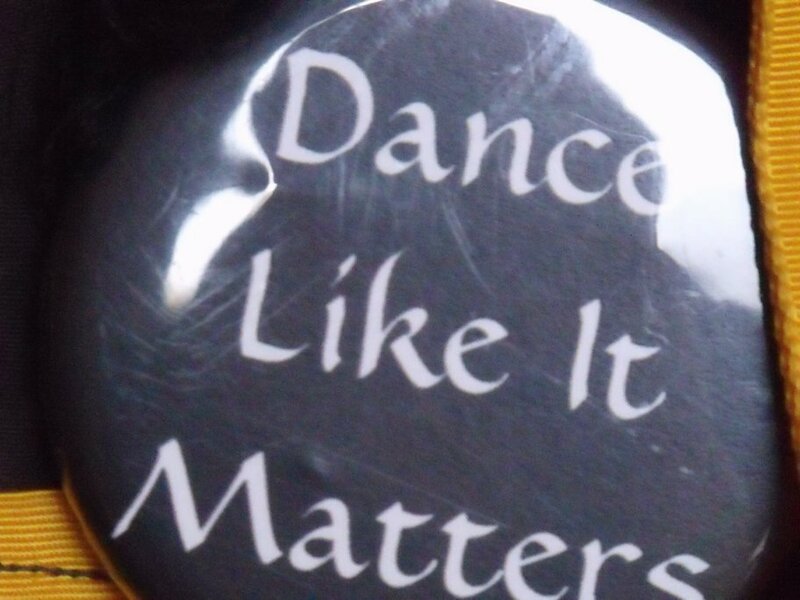 We rehearse at St Dominick and we perform both traditional and new dances in an ever-evolving assortment. We pride ourselves on being a friendly bunch and we always welcome new members (or just those who think they might like to "have a go"). 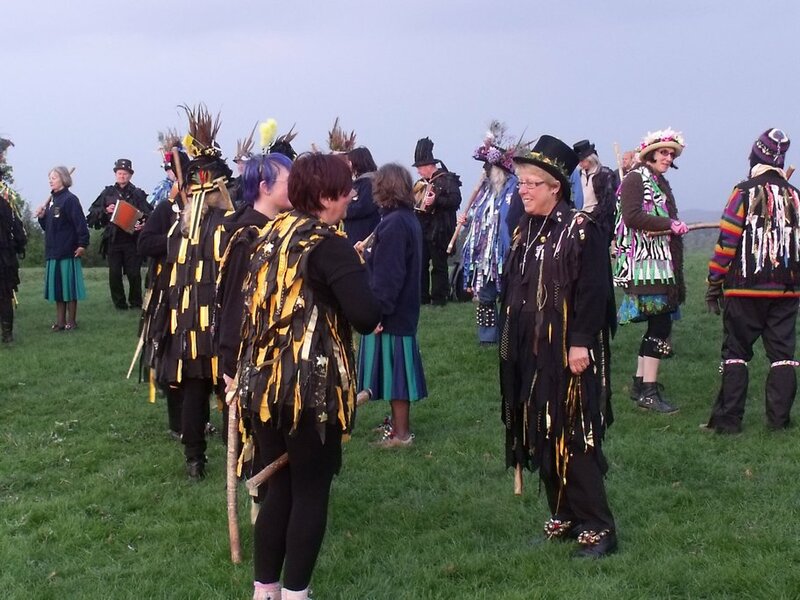 We'd love to meet new dancers and musicians at one of our events, or at a weekly rehearsal (Thursdays Oct-May, St Dominick Village Hall from 7.45pm) . 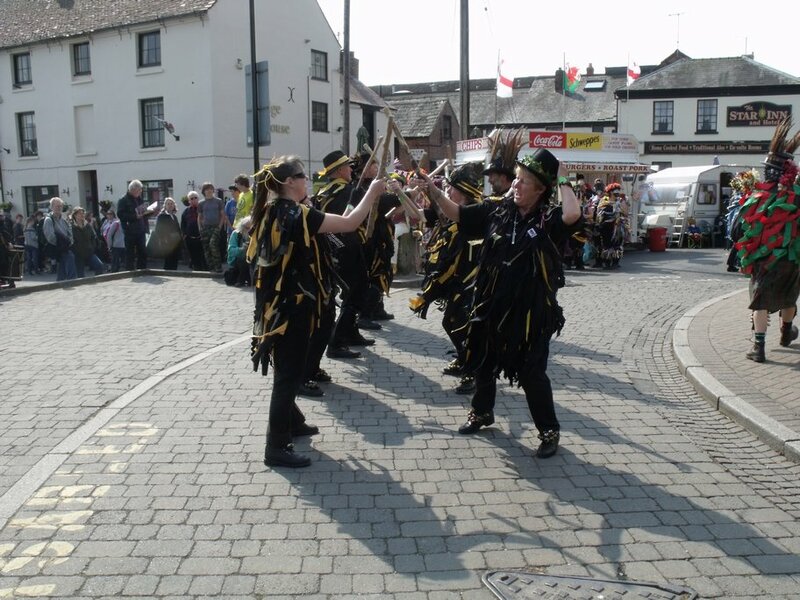 In the summer months we dance out on Thursday evenings at venues (ok - pubs) in and around the Tamar Valley and occasionally further afield. 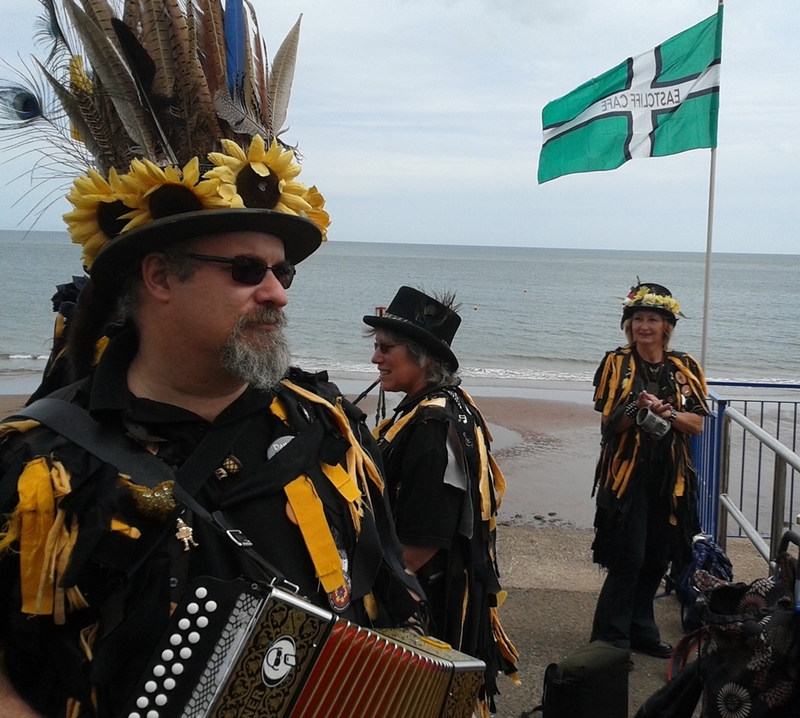 We also perform at festivals around the country (recent festivals include Upton, Chippenham, Sidmouth, Swanage and Teignmouth).